Jaguar Land Rover’s new Special Vehicle Operations division has had its hands full lately, and it’s not about to slow down anytime soon. Now the latest word suggests an SVR version of the Range Rover Evoque could be in the pipeline. Details are few and far between at this point, but we can expect the Evoque SVR would follow in the footsteps of the Range Rover Sport SVR that has launched the performance line. Only where the RR Sport SVR goes after the Porsche Cayenne Turbo, the Evoque SVR would be positioned closer to the Macan.That would mean a substantial jump in performance, although just which engine would provide the motivation is an open question. 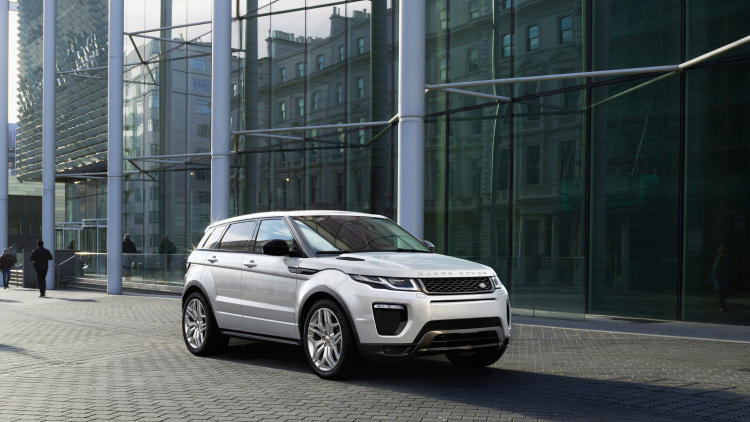 The Evoque at present is powered exclusively by four-cylinder engines, so shoehorning in JLR’s signature 5.0-liter supercharged V8 would likely be too difficult. We could be looking at a more powerful four-pot, or possibly a six like the company’s 3.0-liter supercharged V6 or a forced-induction version of its upcoming Ingenium inline-six. One way or another, performance will be the target – which doesn’t go without saying. JLR SVO went for luxury with the Range Rover SVAutobiography, an exclusive approach with the F-Type Project 7 and Lightweight E-Type, and is slated to release an extreme off-roader in the form of the upcoming Defender SVX. Although Land Rover is already reportedly working on the Evoque’s successor, that’s still a few years out, so the SVR version would likely serve as a high-performance swan song for the existing model before it’s replaced.